Salman Khan's Bajrangi Bhaijaan has completed its four-week-long run in China with an excellent total gross of $44.54 million (Rs 290 Cr) at the box-office, powering the film's worldwide cumulative to more than Rs 900 Cr. The lifetime box-office haul of $44.54 million (Rs 290 Cr) in the PRC has propelled the film's cumulative overseas earnings to $73.54 million (Rs 478.86 Cr) and the worldwide gross to a whopping $138.34 million (Rs 900.9 Cr). Bajrangi Bhaijaan has now dethroned Aamir Khan's blockbuster Secret Superstar (Rs 894 Cr) to become the third highest-grossing Indian film of all-time at the global box-office. 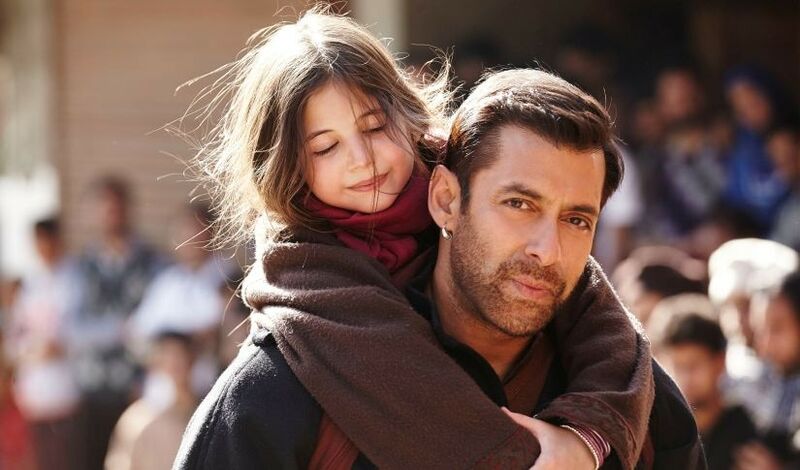 Now, Bajrangi Bhaijaan's total overseas takings (Rs 478.86 Cr) are higher than what the film earned from the theatrical ticket sales in its home turf (Rs 422.13 Cr). Following the incredible success of Aamir Khan's Secret Superstar, the warm reception for Bajrangi Bhaijaan, which marked the debut of Salman Khan in the Middle Kingdom, once again proves Chinese moviegoers' renewed love for Indian films and content-driven projects. Now, Bajrangi Bhaijaan has become the third highest-grossing Indian film in China, only behind Aamir Khan's Dangal and Secret Superstar. The Kabir Khan-directed cross-border drama is also the seventh highest-grossing import film in China in the first quarter of 2018, behind such films as Secret Superstar, Black Panther, Pacific Rim: Uprising, Jumanji: Welcome To The Jungle, Tomb Raider, and Maze Runner: The Death Cure. After the finishing the fourth weekend with a total gross of $42.52 million on March 25, Bajrangi Bhaijaan conveniently unseated Hollywood giant Star Wars: The Last Jedi ($42.56 million) in China by earning half a million from ticket sales on March 26 which fueled its PRC total to $43.06 million last Monday. During its steady run at the Middle Kingdom box-office, Bajrangi Bhaijaan had surpassed a bevy of Hollywood films including Oscar winners such as Three Billboards Outside Ebbing, Missouri and The Shape of Water, which have earned a scanty cumulative of $16 million in 11 days. The Eros International-produced film, which stars Harshaali Malhotra, Kareena Kapoor Khan and Nawazuddin Siddiqui in pivotal roles, is now the 15th highest-grossing film in China in the first quarter of 2018 and is comfortably placed in the quarterly box-office chart above Hollywood movies such as Ferdinand, Wonder and Pete Rabbit to name a few. While Chadwick Boseman's Black Panther held the fort at the box-office before the arrival of Pacific Rim: Uprising in China, Bajrangi Bhaijaan quietly claimed a spot above the Disney/Marvel's box-office phenomenon on March 22nd in the chart. Since then, Bajrangi Bhaijaan continued its place for eight consecutive days above Black Panther in the PRC box-office chart. The foreign total of $73.54 million (Rs 478.86 Cr) has also made Bajrangi Bhaijaan the third highest-grossing Indian film in overseas territories after Dangal and Secret Superstar, which still hold the record for being the only two Indian films to pull in more than $100 million from abroad. Now, the Chinese audiences are gearing up for the release of Hindi Medium on April 4th. The Saket Chaudhary-directed comedy-drama, which stars Irrfan Khan and Saba Qamar as leads, will be the third Indian film to hit the PRC screens this year after Secret Superstar and Bajrangi Bhaijaan. There are also unconfirmed reports that Akshay Kumar will make his foray into China this year with his super-hit film Toilet: Ek Prem Katha directed by Shree Narayan Singh. Meanwhile, all decks have been cleared for SS Rajamouli's globe-trotting blockbuster Baahubali: The Conclusion's release in China including the censorship process. E-Star Media, which distributed the first part Baahubali: The Beginning, will release the movie. 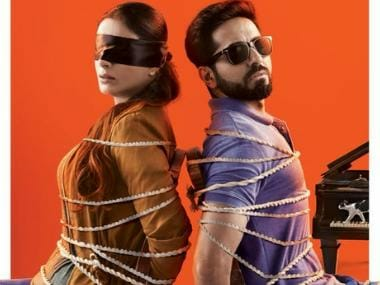 An official release date is yet to be finalised by the distributors.